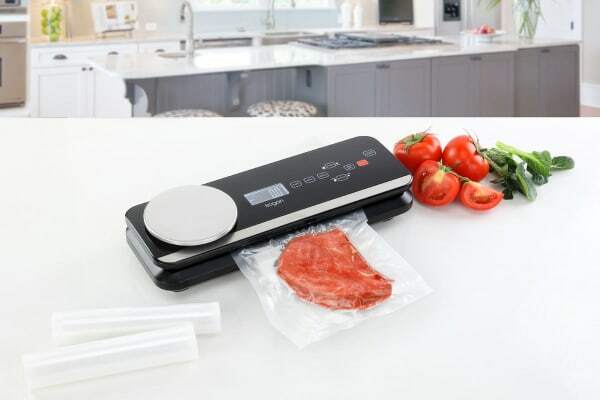 Extend the freshness of your food and enjoy easier cooking and prep with this powerful vacuum sealer and kitchen scale in one! Marinate function – marinate food in just 20 minutes! 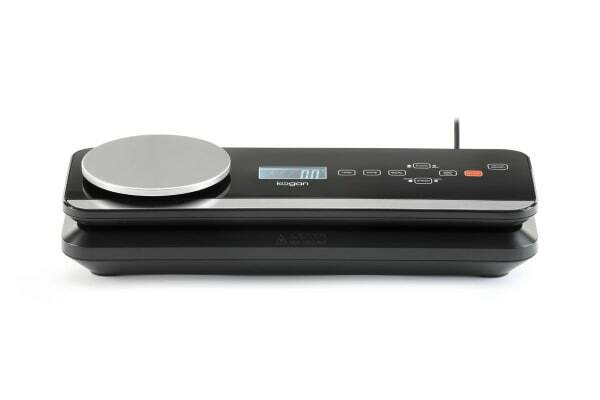 Whether you’re going away or preparing meals weeks in advance, the Kogan 2-in-1 Food Vacuum Sealer with Kitchen Scale helps you to effortlessly weigh and preserve the freshness of your food with just one touch for every occasion. 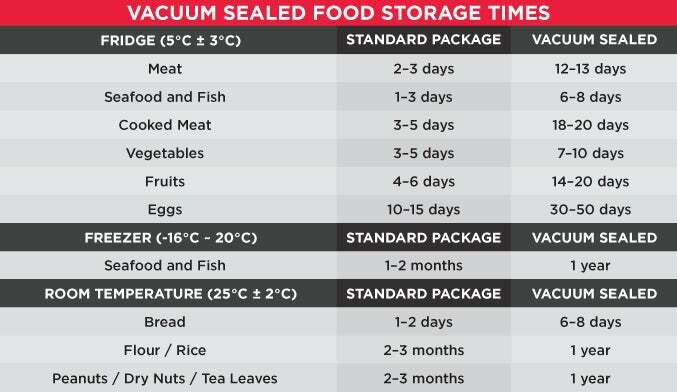 Keep food fresher for up to five times longer and prevent the unwanted growth of bacteria, mould and yeast using the automatic vacuum and sealing function. Simply fill the bag, touch the sensor to seal, and cut with the built-in foil cutter. What’s more, it even comes with a vacuum hose so you can vacuum seal bottles and canisters as well. Forget leaving food in the fridge overnight to marinate, using the vacuum seal function marinade penetrates and locks in flavour within 20 minutes for an effortless and rich meal. The different dry and moist food settings also ensure your food is kept succulent and moist no matter what ingredients you’re working with. Don’t fret about delicate food stuffs getting crushed or destroyed, with the gentle speed function your food is delicately and carefully sealed every time. And once you’re done, cleaning up is a breeze. 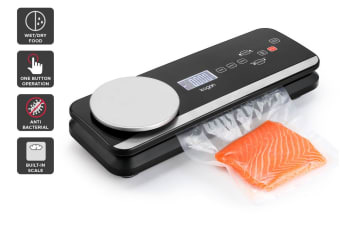 Boasting sleek plastic and stainless steel material, cleaning the surface is quick and simple.